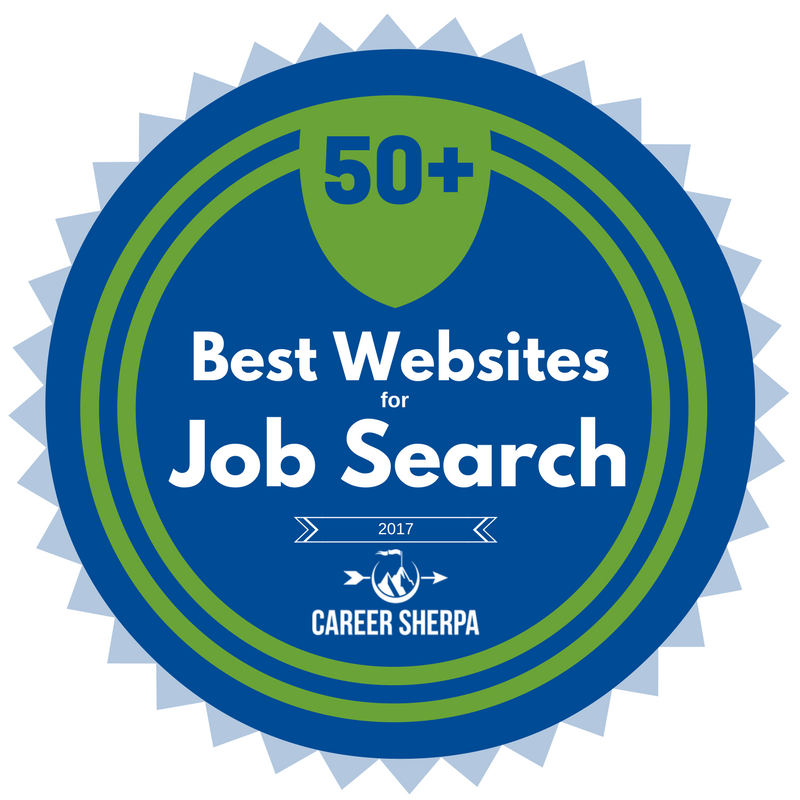 Here is this year’s list of the 50+ best websites for job search. If you are just looking for a list of job boards, you have come to the wrong place. Job boards are only a very small part of your job search strategy. In fact, less than 30% jobs are filled through job boards or aggregators. Surveys from Jobvite and CareerXroads and other sources, report that a referred candidate is more likely to be hired. Honestly, it is going to take more than applying to jobs online to land your job. And while all these resources are free, most do offer workshops, books, courses or paid services. You can conduct a successful job search without paying a lot of money, however, savvy job seekers and careerists know when they need to invest in themselves. LinkedIn is a category all in itself! Every working professional MUST BE using LinkedIn. It isn’t just an online resume, it is a research tool, networking database, job board, source of industry news, salary calculator and more! Use their iOS or Android apps for your smart phone too! Use Glassdoor to research what employees are anonymously saying about companies, get salary information and learn what questions they’ve asked during interviews. Yes, they have job postings too! My Next Move helps assess your interests, research careers and begin developing a list of skills and keywords to use in marketing yourself. This is essentially a database sponsored by the U.S. Department of Labor, Employment & Training Administration, and developed by the National Center for O*NET Development. These salary calculators will help determine your value in the market place. Writing a resume is not easy. These sites help you learn how to craft resumes and LinkedIn profiles. AvidCareerist is the work of Donna Svei. She writes LinkedIn profiles and resumes. Donna delivers factual, informative articles and detailed research on topics impacting your job search. Career Trend, by Jaqui Barrett-Poindexter, is an exquisitely written blog. Jacqui has a way with words! She is a master resume writer, and more accurately, a master storyteller. Chameleon Resumes, by Lisa Rangel, offers executive level resumes and LinkedIn advice. Lisa is a LinkedIn Job Search Expert- she was hired as a Group Moderator for LinkedIn’s Premium Job Seeker Group. 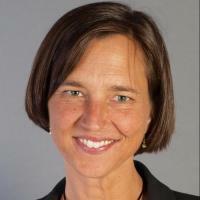 Executive Career Brand, by Meg Guiseppi, has some of the best articles on personal branding available. While she writes for her executive audience, the advice is relevant to anyone wanting to create a strong personal brand. Great Resumes Fast, by Jessica Hernandez and her team, offer sample resumes, articles to help you craft a better modern resume and more job search help. The Balance-provides advice AND examples of resumes and cover letters. Alison Doyle is the Job Search Expert. LiveCareer supplies resume and cover letter templates, articles, assessments and more! 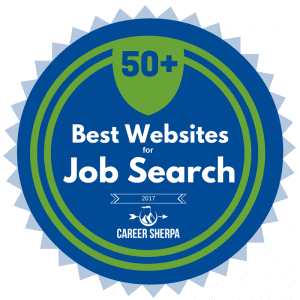 Check these websites for the best answers to your job search questions. Better yet, subscribe to them and get regular updates. Human Workplace, by Liz Ryan, provides honest, straightforward advice to help empower you. She is on your side, not the employer’s. Job-Hunt.org is THE authoritative site for your job search! You will find everything you need, at any stage of your career! All aspects of job search are covered by carefully selected experts. Susan P. Joyce is the mastermind of this site. JobMob always has an interesting compilation of information to help with your job search. Jacob Share manages this site. Great articles and information you’ll want for all aspects of your professional life! It covers career advice, job search, career paths, management, and more! 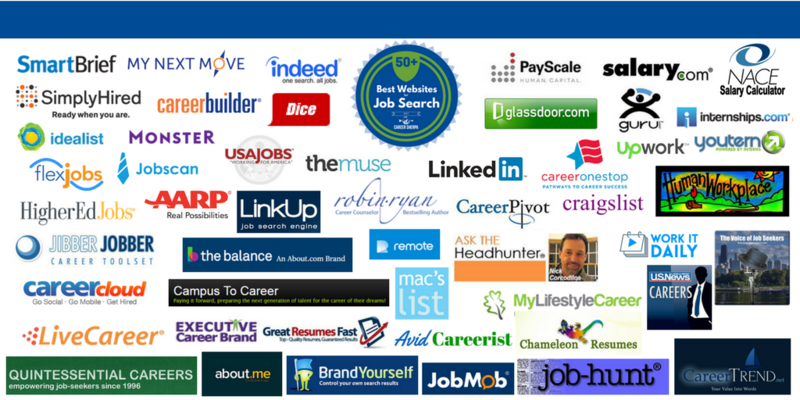 Bonus: every week you can see a list of featured companies with job openings. US News & World Report On Careers is written by career pros and covers everything job search related as well as career advice. 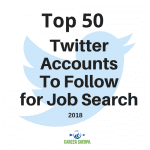 In case you didn’t realize it, I write about ways to use social media to help you stay competitive in today’s job search! Job seekers over 50 face a specific set of challenges. You need to understand the issues, biases and how you can spin your experience into a valuable asset! AARP’s job expert, Kerry Hannon, covers issues that the older job seeker has to know in order to compete. You’ll find all the issues you need to take into consideration while hunting down your next job as a more seasoned professional. Career Pivot by Marc Miller targets Baby Boomers who are in search of their next career. My Lifestyle Career written by Nancy Collamer, offers advice for people over 50 on how to transition into a new career before retirement, often referred to as second-act careers.. Nancy also writes for Next Avenue (PBS site for people over 50). Campus To Career helps you connect the dots from your college experience to landing your first job. YouTern is the place to go for your job search! The Savvy Intern blog, with articles written by top experts, isn’t just for interns. Their advice ant tips apply to every job seeker! Nick provides interviewing and job search advice from a recruiter’s perspective. He provides solid, straight-shooting advice. Nick answers job search questions most other recruiters won’t or don’t. Robin Ryan, author of “60 Seconds And Your Hired,” delivers job search advice you don’t want to miss. You can subscribe to her newsletter on her site. You can also read her job search tips here. CareerOneStop has information on starting your search, finding a career match, information on re-training, where to find local services if you are unemployed and more. Sponsored by the Department of Labor. Searching the job boards is one of the least effective job search methods. But it makes you feel good. Job boards are a grood resource of information. You can develop a list of keywords by reviewing job postings and understand what skills, words, and terms employers use to describe what they are looking for. I’ll admit, not all employers are good at writing job postings, but they are gettting better. Using specialty or niche job boards, depending on your industry or occupation, is a must. Some companies will only post opportunities within these sites that target only the specific talent they are seeking. Dice is known as being a job board for technical candidates (IT, etc.) Besides jobs, you will see news and advice to help with your job search. HigherEd Jobs features job opportunities at colleges and universities. Idealist focuses on non-profit job postings, volunteer opportunities and internships. 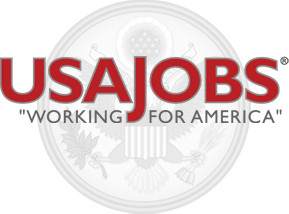 USA Jobs is the Federal Government’s official source for federal job listings across hundreds of federal agencies and organizations. Internships.com helps you find internships and entry level jobs. This board is dedicated to recent college graduates. LinkUp aggregates its job listings from employer websites. This allows you to directly apply on the company’s website. With the gig economy on the rise, and job security diminishing- you may want to start freelancing for income security. You can check out these boards for a variety of freelancing opportunities. Get serious about your job search and long-term career success. You’ll need to be find-able online. These tools make it very easy to develop a “one page” summary of your experience and improve search results for your name! About.me makes it easy to create a single webpage highlighting you. List your other social media profiles, create lists, join a community of people who value online visibility. BrandYourself walks you through the steps to improve how your name ranks in search results. Jobscan will help you “optimize your resume keywords and get past resume screeners.” Upload your resume and copy and paste the job description and Jobscan compares the two to see how well you “match” the words used in the posting. JibberJobber is a web-based tool to organize and manage your job search! It goes far beyond a standard spreadsheet. It helps keep track of and manage relationships, job postings, target companies and more! If you want to make your job search more mobile, check out this list of 6 job search apps you should test drive. I’ve made it super simple for you to find news, articles and information for your job search. 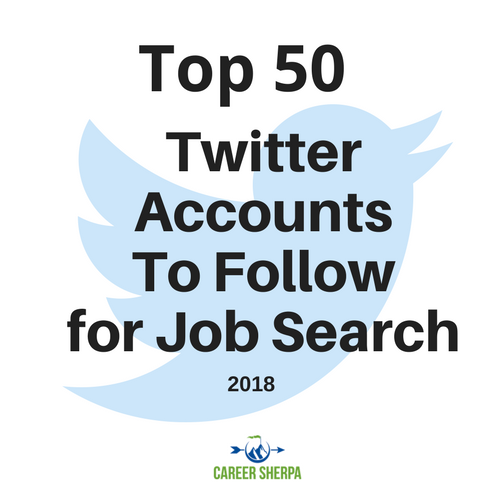 Follow these pros on Twitter for job search advice and guidance. The most recent list is here.